"A Child Saved is a Soul Saved and a Life!" “Allow the children to come to me,” Jesus said. Trinity Outreach Ministry C.O.G.I.C. offers the best Sunday School Programming in the whole wide world! At least, we think so! With enthusiastic teachers and an amazing Director, your children can't help but love being apart of Sunday School. When your children attend Sunday school, they will find the age-appropriate Bible teaching their young minds are able to absorb. Skilled teachers shape the lessons to meet the level of comprehension and interest of any age. Our Sunday School instructors will incorporate fun activities into the lessons, like crafts and skits, so your children will be able to remember them. Parenting is tough, but when you have Sunday school teachers working to mentor your children, they can provide another great source of guidance. The church is a community where everyone helps their neighbors. When you take your children to Sunday school, you can rest assured you have qualified help with their spiritual education. What better place to make friends than in Church! As children learn and play together on Sunday mornings, they will be able to form healthy friendships with children whose parents have the same priorities as you! If you start consistently taking your children to church when they’re young, they will forever learn the good habits of church attendance. For the rest of their lives, they’ll benefit from the knowledge they gained in Sunday school. Sunday School begins promptly at 9am every Sunday Morning at Trinity Outreach Ministries! 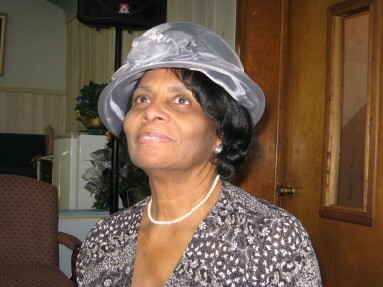 Sunday School Superintendent for more than 30 years!